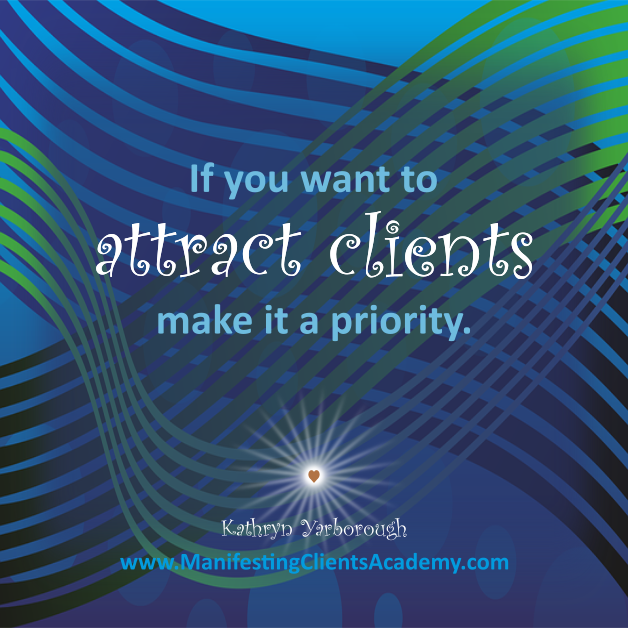 If you’ve been in business for a little while and you’re ready to attract more clients, congratulations! 1) What you tell yourself matters! What you tell yourself impacts your actions and your vibration. Your actions and your vibration lead to the results you get. If you don’t have as many clients as you’d like, you probably need a new story. Learn how to manifest clients by changing the story you tell yourself in my FREE video training. Click here. Once you decide on your ideal clients, you can package your services based on their needs and wants; what you love doing; and your purpose. 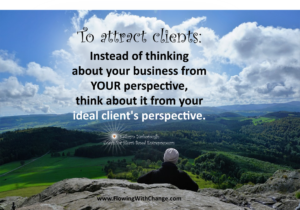 When put those pieces together into a way that makes sense to you and your ideal clients, then you have a sellable offer. 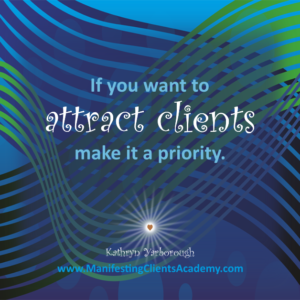 You need one to three ways for your new, ideal clients to find you. Whether you use Facebook, in person networking, or something else, you have let your potential clients know that you and your services exist. 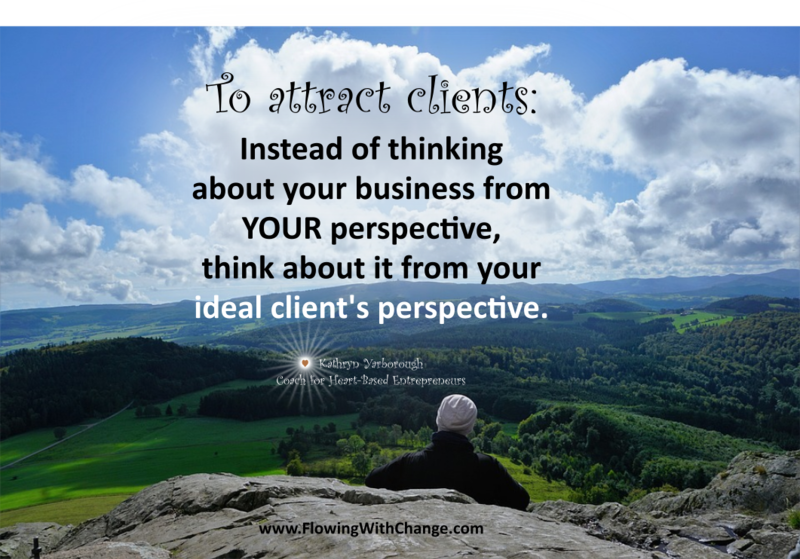 Discovering what works for you and your ideal clients is part of your journey! My biggest advice about this… Don’t try to do it all! While you’re planning all the pieces of your business, be sure you “do the numbers.” When you have all the clients you want and paying all your business expenses, will you be generating a life-sustaining, abundant income? After all, if you’re in business, you do need to make money. 5) Get started writing a new story. Write a new story – one where you have all the clients you want. To find out how, get my free video training. Click here.